SBC Superbike Concepts Travel N/A Weight 6.15kg The Silverbacklab’s most premium bicycle range aspires to be the dream bike for every rider. 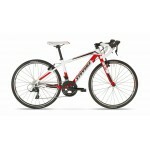 They are light, stiff, forgiving and calculated in ride feel, with excellent execution in terms of finish. 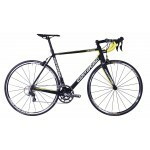 We want to give the rider the best combination of parts and frame in the market; a product that applies our ARD (Advanced Riding Dynamics) principles outstandingly, and delivers ..
Road Travel N/A Weight 7.25kg The Silverbacklab’s most premium bicycle range aspires to be the dream bike for every rider. 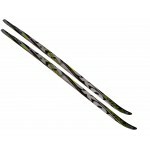 They are light, stiff, forgiving and calculated in ride feel, with excellent execution in terms of finish. We want to give the rider the best combination of parts and frame in the market; a product that applies our ARD (Advanced Riding Dynamics) principles outstandingly, and delivers the ultimate ride..
Road Performance Travel N/A Weight 7.82kg The Scalera road bicycle range is a race-bred high performance carbon platform. This design combines rigidity and aerodynamics into a highly attractive package. The carbon layup is stiff and lightweight and has been carefully calculated to meet the high demands of racing cyclists. 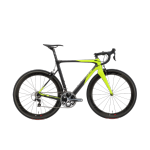 The geometry is finely tuned for every size, resulting in an accurate and agile ride-feel at all speeds for r..
Road Performance Travel N/A Weight 7.80kg The Scalera road bicycle range is a race-bred high performance carbon platform. This design combines rigidity and aerodynamics into a highly attractive package. 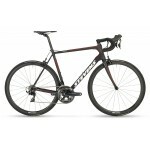 The carbon layup is stiff and lightweight and has been carefully calculated to meet the high demands of racing cyclists. 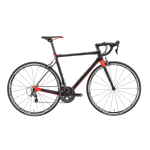 The geometry is finely tuned for every size, resulting in an accurate and agile ride-feel at all speeds for r..
Road Performance Travel N/A Weight 8.18kg The Scalini is the latest addition at Silverback in the road category. 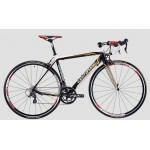 This bike has a performance setup for time trialing and triathlon use. 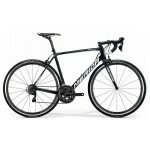 Aerodynamic tubing, seatpost and cockpit parts help the rider cut through the air, and together with the padded, split, Time Trial specific saddle, ensures that it can be as comfortable and healthy as possible. The aerodynamic carbon seatpos..
Road Performance Travel N/A Weight 9.06kg Our Siablo road bicycle range fuses super lightweight aluminium tubing and compact geometry for an efficient, fast and comfortable road ride. 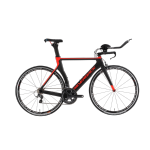 Full carbon tapered fork adds to the lively and comfortable ride feel, thereby complementing the frame’s characteristics. The fork offset and frame geometry enhance the bike’s comfort on long rides by being stable yet lively for easy control across ..
Road Performance Travel N/A Weight 8.59kg Our Siablo road bicycle range fuses super lightweight aluminium tubing and compact geometry for an efficient, fast and comfortable road ride. Full carbon tapered fork adds to the lively and comfortable ride feel, thereby complementing the frame’s characteristics. 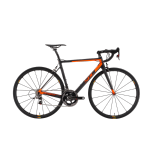 The fork offset and frame geometry enhance the bike’s comfort on long rides by being stable yet lively for easy control across ..
Road Performance Travel N/A Weight 7.21kg The Sirelli is a premium carbon all round road bike range with a penchant for climbing. Tubing shapes and overall design maximise the stiffness-to-weight ratio, ensuring that all your energy and control move the road bike intuitively. Compact geometry with different fork offsets for varying sizes, ensures that the ride up and down hills is responsive, agile, stable and direct. A minimalis..
Road Performance Travel N/A Weight 7.5kg The Sirelli is a premium carbon all round road bike range with a penchant for climbing. Tubing shapes and overall design maximise the stiffness-to-weight ratio, ensuring that all your energy and control move the road bike intuitively. Compact geometry with different fork offsets for varying sizes, ensures that the ride up and down hills is responsive, agile, stable and direct. 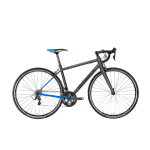 A minimalist..
Road Performance Travel N/A Weight 7.76kg The Sirelli is a premium carbon all round road bike range with a penchant for climbing. Tubing shapes and overall design maximise the stiffness-to-weight ratio, ensuring that all your energy and control move the road bike intuitively. Compact geometry with different fork offsets for varying sizes, ensures that the ride up and down hills is responsive, agile, stable and direct. 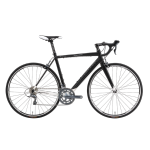 A minimalis..
Road Sport Travel N/A Weight 9.66kg The Strela road bicycle range is a great option for those who want a high performance bike without the implications of carbon fiber. 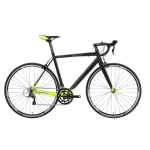 Strela sports a sophisticated hydroformed alloy tube set that boosts pedaling stiffness for efficient power transfer while still offering a comfortable experience for long days in the saddle. 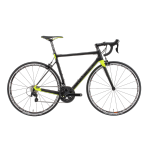 FRAME: Silverback Engineered Custom Butted 6061 Aluminium, ..
Road Sport Travel N/A Weight 9.88kg The Strela road bicycle range is a great option for those who want a high performance bike without the implications of carbon fiber. Strela sports a sophisticated hydroformed alloy tube set that boosts pedaling stiffness for efficient power transfer while still offering a comfortable experience for long days in the saddle. FRAME: Silverback Engineered Custom Butted 6061 Aluminium, ..
RámAluminium 6061 DBPřední vidlice STEVENS Carbon Pro-BladeHlavové složení STEVENS Race 1 1/8"Brzdy Shimano TiagraKliky Shimano TiagraPřesmykač Shimano TiagraŘetěz Shimano CN-HG54MěničShimano TiagraKazeta Shimano CS-HG500Převody 2.24 - 9.59 m, 2*10Zapletená kola Fulcrum Racing SportPláštěContinental Grand Sport Race 25-622Řidítka Oxygen Scorpo AeroPředstavec Oxygen DriverSedlo Oxygen CyriusSedlovka Oxygen DriverBrzdové-řadicí páky Shimano TiagraHmotnost 9.1kgVelikost 44, 47, 50, 52, 54, 56, 5..
RámAluminium SL 7005 TBPřední vidlice STEVENS Full Carbon SLHlavové složení STEVENS Race Taper 1 1/8" - 1 1/4"Brzdy Shimano 105Kliky Shimano 105Přesmykač Shimano 105Řetěz Shimano CN-HG601MěničShimano 105Kazeta Shimano 105Převody 2.24 - 9.59 m, 2*11Zapletená kola Fulcrum Racing SportPláštěContinental Grand Sport Race 25-622Řidítka Oxygen Scorpo AeroPředstavec Oxygen ScorpoSedlo Oxygen CyriusSedlovka Oxygen ScorpoBrzdové-řadicí páky Shimano 105Hmotnost 8.4kgVelikost 44, 47, 50, 52, 54, 56, 58, ..
Frame Aluminium SL 6061 TBPřední vidlice STEVENS Full Carbon SLHlavové složení STEVENS Race Taper 1 1/8"-1 1/4"Brzdy Shimano 105Kliky Shimano 105Přesmykač Shimano 105Řetěz Shimano CN-HG601Přehazovačka Shimano 105Kazeta Shimano 105Gear ratio 2.24 - 9.59 m, 2*11Zapletená kola Fulcrum Racing SportPneumatiky Continental Grand Sport Race SLŘidítka Oxygen Scorpo AeroPředstavec Oxygen Scorpo RoadSedlo Oxygen CyriusSedlovka Oxygen Scorpo RoadBrzdové-řadicí páky Shimano 105Hmotnost 8.6 kgVelikost 4..
Chassis Frame Aluminium SL 7005 TB Axle: QR10x130 Brake: rim BB: Pressfit BB86 Front derailleur mount: clamp Cable routing: internal Přední vidlice STEVENS Full Carbon SL Tapered Steerer 1 1/8" - 1 1/4" Axle: QR9x100 Brake: rim Hlavové složení STEVENS Race Taper 1 1/8"-1 1/4" ..
Frame Carbon SL FiberPřední vidlice STEVENS Full Carbon SLHlavové složení STEVENS Race Taper 1 1/8"-1 1/4"Brzdy Shimano UltegraKliky Shimano UltegraPřesmykač Shimano UltegraŘetěz Shimano CN-HG701Přehazovačka Shimano UltegraKazeta Shimano UltegraGear ratio 2.71 - 9.97 m, 2*11Zapletená kola DT Swiss P1850 SplinePneumatiky Continental Grand Prix 4000 S IIŘidítka Oxygen Scorpo AeroPředstavec Oxygen Scorpo RoadSedlo Oxygen TritonSedlovka Oxygen Scorpo CarbonBrzdové-řadicí páky Shimano UltegraHmotnost..
CHASSIS Frame Aluminium 6061 Přední vidlice STEVENS CX JR Hlavové složení STEVENS Race 1 1/8” POHON Kliky STEVENS Přesmykač Shimano Sora Řetěz KMC X9 EPT Přehazovačka Shimano Sora Kazeta Shimano HG-400 KOLA ..
Cena tohoto kola a skladová dostupnost se liší v závislosti na zvoleném vybavení. Zobrazená cena neodpovídá níže uvedené technické specifikaci. Toto kolo dodáváme pouze na zakázku na míru podle požadavků zákazníka. CHASSIS Frame Aluminium SL 7005 TB Axle: QR10x130 Brake: rim BB: Pressfit BB86 Front derailleur mount: clamp Cable routing: internal Přední vidlice ..
KazetaShimano CS-5700, 11-28Hlavové složeníRitchey Pro Logic Zero Drop InVidliceStevens Carbon Pro, 1 1/8" - 1 1/4"SedlovkaOxygen ScorpoSedloOxygen Triton SLŘídítkaOxygen Scorpo Comfort Alu 7075DBŘetězShimano CN-5701BrzdyShimano Ultegra BR-6700ŘazeníShimano Ultegra ST-6700RámAluminium 6061TB SuperlitePřesmykačShimano Ultegra FD-6700PřehazovačkaShimano Ultegra RD-6700SSPředstavecOxygen Scorpo 31.8mm, 6°PláštěSchwalbe Durano S, 700x23cKolaEaston Aero 700cKlikyShimano Ultegra FC-6750, 50-34..
Cena tohoto kola a skladová dostupnost se liší v závislosti na zvoleném vybavení. Zobrazená cena neodpovídá níže uvedené technické specifikaci. Toto kolo dodáváme pouze na zakázku na míru podle požadavků zákazníka. 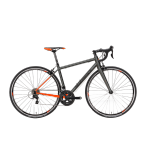 CHASSIS Frame Carbon SL Fiber Axle: QR10x130 Brake: rim BB: Pressfit BB86 Front derailleur mount: braze-on Cable routing: internal Přední vidlice ..